The surprise book of my spring! I’ll admit I was less than thrilled when my book club selected Mademoiselle Chanel as our April read from Book Club Girls. I hemmed and hawed and delayed reading what turned out to be a very good book. I didn’t know anything about the life of Coco Chanel when I started reading. I knew of her, certainly, but not about her less-than-humble beginnings, her childhood, how she began by designing hats, or any of the other details that contributed to her rise to fame and lasting notoriety. Coco Chanel lived through two world wars and endured poverty and hunger to become one of the fashion world’s most loved and sought-after talents. Her legacy continues even now – 40 years after her death. 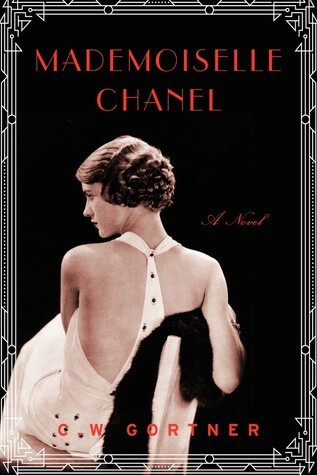 Mademoiselle Chanel is historical fiction; I don’t know if any factors have been embellished for the sake of story. But I do know that the story is interesting, and I really enjoyed it. The book has inspired me to learn more about Chanel’s work – I’ve checked out a stack of books about her from my library – and I really want to smell No. 5, too! My thanks to Book Club Girl for the gift of this book.